Our Program - Silence Aloud, inc.
Search Light is a childrens’ residential treatment facility is licensed by the State of California to provide 24 hour residential treatment services in a compassionate home environment. The program serves 6 males ages 13-18 with histories of physical, emotional, and/or sexual abuse who also have substance abuse challenges. Clients have a history of abuse and neglect and may also have a co-occurring mental health diagnosis and are referred by the Department of Social Services, Mental Health and Probation Departments. All clients receive intensive therapeutic services, independent living skills, wraparound family treatment services, heart centered spiritual mentoring, and substance abuse treatment. Our heart centered approach sets Search Light apart from other residential programs as our goal is to heal our residents “from the inside-out” through the application of love. The sexual victimization of boys is one of the most widely ignored social epidemics of our time. Predominately accepted statistics on the issue estimate that 1 in 6 boys will report having experienced some form of sexual abuse prior to the age of eighteen (18). In the case of the sexual abuse of boys, social constructs of masculinity and vulnerability, further minimizes (in comparison to girls) reporting of abuse. As a result, the issue of the sexual abuse of boys has created devastating ripples in the fabric of society – becoming the “Invisible Epidemic”. This silence has unfortunately created a grossly undeserved population of sexually abused boys. Our objective is to shatter the silence of the sexual abuse of boys (under age 18) by increasing public awareness, education, and the provision of adequate services. Our promise to male youth is to provide a safe haven where they are able to disclose abuse to begin the healing process. This issue effects Not One, but Many in our society therefore, Not One, But Many must work together to stop abuse against all people and all genders. 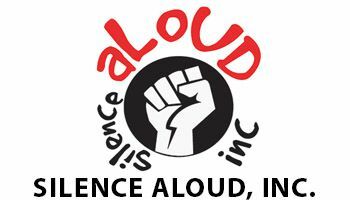 Silence Aloud, Inc. was founded to contribute its efforts to reversing the ripple effect of the sexual abuse of boys. The organization’s vision is supported by the State of California Commission of the Status of Women, the City of Moreno Valley California, and Riverside County Department of Social Services (to name a few).